What do you buy for the person who has every kitchen widget, decorative knick-knack, and holiday decoration they need? How about some indulgent food gifts? 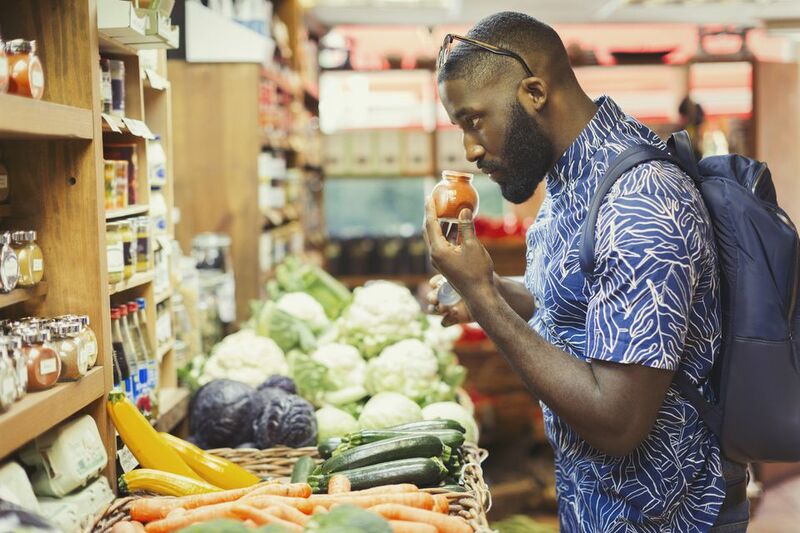 And, while you’re shopping, some speciality foods are also good for hostess gifts or presents for folks you know who would like to indulge in some fancy food, but who don’t have splurges in their budget. Even if the gift is a little bit of a miss (you mean everyone doesn’t love chocolate?) food gifts can be incorporated into the holiday table, possibly brought to work to share, or tucked away to treat the neighbors when they stop by for coffee. Here are 12 of our favorites that are guaranteed hits. 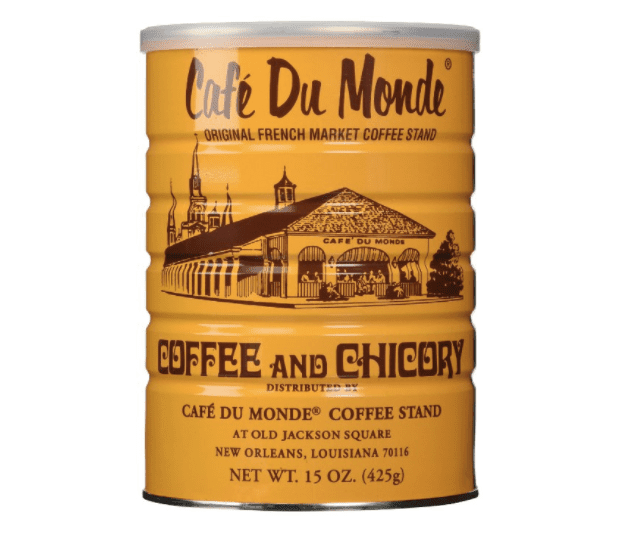 Chicory root was first added to ground coffee to keep costs down, but now it has become a popular addition to coffee in New Orleans because of its flavor. It has a rounder, smoother, less-harsh finish and reduces the caffeine level when mixed with coffee. Café Du Monde is a very popular restaurant in New Orleans, making this coffee even more special. Anyone who loves trying different types of coffees will certainly enjoy this blend and its history. Ferraro Rocher hazelnut chocolates are a classic for holidays, and just as good for birthdays, anniversaries, and just-for-fun gifts. These candies have a whole hazelnut in the center with a chocolatey cream, crisp wafer, milk chocolate, and chopped walnuts surrounding the nut. Each chocolate is individually wrapped in gold paper, so you can add a few to different gifts (don’t forget to save a few for yourself!) or wrap the whole box of 48 chocolates for your favorite chocolate lover. Saffron is known as the world’s most expensive spice, and the best saffron is all red, with no yellow strands or tips. While it’s certainly expensive, it is used sparingly, so a little bit can last a long time. Saffron is often used in rice dishes, but can also be added to chicken recipes, soup, or even breads, to add a rich flavor and vibrant color. This would be a treasured gift for anyone who likes to cook and who loves spices. Most popcorn varieties that can be purchased at the grocery store are very similar to each other, but just like any other edible plant, there are many heirloom variations available. This set includes four one-pound bags of hull-less popcorn varieties: baby white, medium white, ladyfinger, and midnight blue. This is great for popcorn lovers and for also for families who want to try something new that will still be familiar enough for everyone to enjoy. This would be a fun hostess gift, or break up the set for stocking stuffers for the family. This brings maple syrup to a whole new level, by adding both the flavor of both bourbon and the wood of the aging barrel to the sweetness of the maple. Your French toast will never be the same, and your pancakes will have a pleasantly grown-up flavor. But this isn’t just for breakfast. It would also make a wonderful addition to savory foods, like a glaze for a pork roast or ham, or it could be used to flavor a cocktail. Truffles are expensive, and fresh truffles are difficult to find outside of specialty markets, so many people will never have a chance to taste a fresh truffle. Truffle salt, on the other hand, offers the flavor of truffles in a form that’s nonperishable and easy to use. For those who aren’t familiar with truffles, it’s less likely they’ll overpower a dish with truffle flavor, if they’re adding an appropriate amount of salt. Think of it as a reasonably priced splurge. A wonderful gift for pasta lovers, this bow-tie (or butterfly) shaped pasta has multi-colored stripes that will make any pasta dish look special. This is hand-made in Italy and the colors are all natural, from sources like spinach or peppers, rather than from artificial colorings. This would be a perfect stocking stuffer, hostess gift, grab-bag gift for a food lover, or perhaps added to a basket with other pasta-related items. The Maraschino cherries that are sold in most grocery stores are super-sweet, only vaguely taste like cherries, and are a color that just doesn’t exist in nature. While they might be fine for a banana split or Shirley Temple where the color is half the fun, they don’t bring much depth of flavor and have a strange texture as well. Luxardo’s cherries are completely different. They’re sweet, but also complex, with cherry flavor and some tartness—more like cherries you’d find in a pie. The juice can be used in cocktails, drizzled over ice cream, or even added to a salad dressing. And there’s something to be said for gifting a product that is the original version of a well-known product. Grocery store balsamic vinegar is great for salads, while traditional Italian balsamic is made in just one region of Italy and is aged, much like wine, to enhance its flavor. During the aging it becomes sweeter and thicker. Some balsamic vinegars are aged for many decades and are hard to find outside of specialty stores. This balsamic is aged for 12 years, making it quite special, and perfect for drizzling over fresh fruits, ice cream, or steak or pork chops. While it might be too special to use it for a vinaigrette, it would be lovely on top of seasonal tomatoes or fresh mozzarella cheese as an appetizer. Accomplished cooks know that there are more varieties of rice besides white and brown. Calasparra rice is a specialty rice that’s traditionally used for making paella. Anyone who loves rice or Spanish food will love a bag of this rice, or pack it up with a paella pan as a “basket” and add other traditional paella ingredients. Wild mushrooms are decadent, but they are seasonal and can be difficult to find at most grocery stores. They’re also very perishable, so fresh mushrooms wouldn’t make a great gift item. Dried porcini powder is versatile, flavorful, and long-lasting. This can be added to soups, stews, gravy, rice dishes, pasta dishes, or anywhere a mushroom flavor would be welcome. This is a large, 1-pound jar of porcini powder, so there’s plenty for the cook to experiment with. This flower extract is a unique product. It starts off a bright blue, but turns purple, then pink, when added to acidic liquids. This is fun for cocktails or mocktails. It can be added to ice cubes, or used in frostings or other foods as a coloring agent. It adds a mild floral flavor since it comes from the butterfly pea flower, but the impact is the color—and the color changing aspect. This would be great for folks who want to take their cocktail making to a new level, but it would be just as fun to add to the kids’ lemonade.